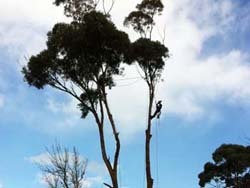 There are many reasons to consider tree pruning options and it is clearly the most frequent enquiry we have. 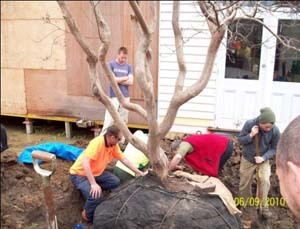 To make sure you get the best advice or help, your appointment will be personally arranged with a certified Arborist who has trained to specifically understand the clients and trees requirements best to get it right the first time, as repair work from poor pruning is a long slow process that is often not resolved. 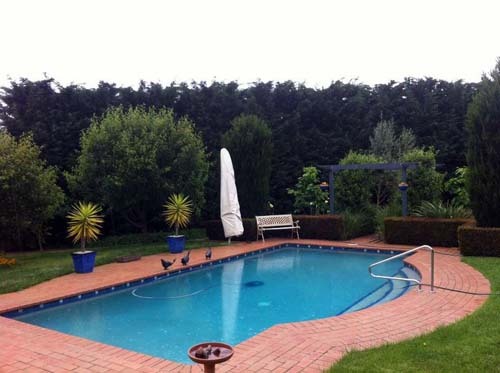 Our quotes will detail exactly what will happen so clients can appreciate the work about to take place. 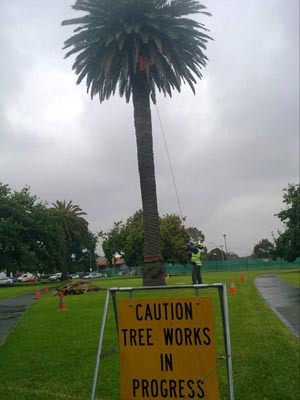 As much as we don’t like to see it, we always try to take the best interest of the tree into consideration however trees need to be removed for many reasons regardless of this such as disease, structural damage, land development and so on. 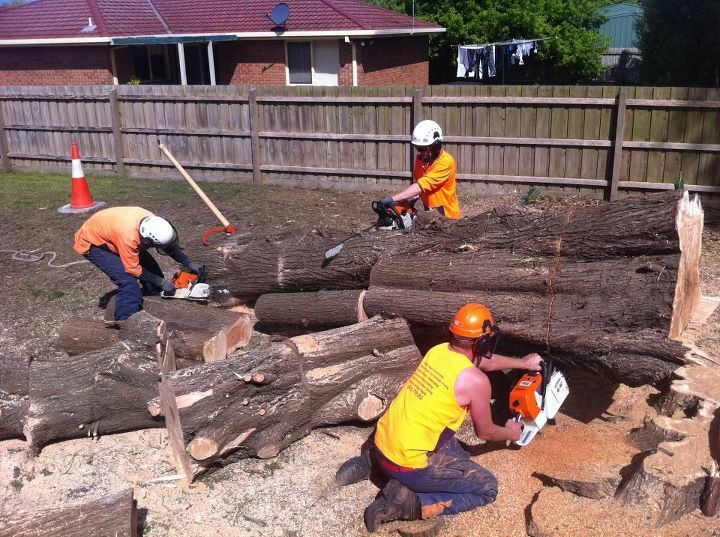 The complexity of this task increases with the size of the tree. 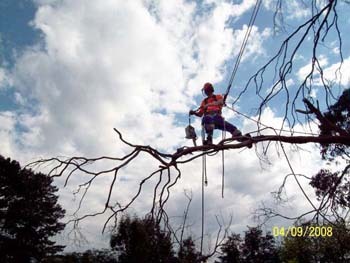 Tree removal requires careful site assessment, job safety analysis and a complicated system of rigging and access equipment that best suits the situation. We have all of the specialised equipment and rigging gear required to assist with this process. 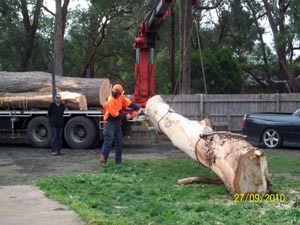 Cut It Right Tree Service is renowned for and specialises in Large Tree dismantling. 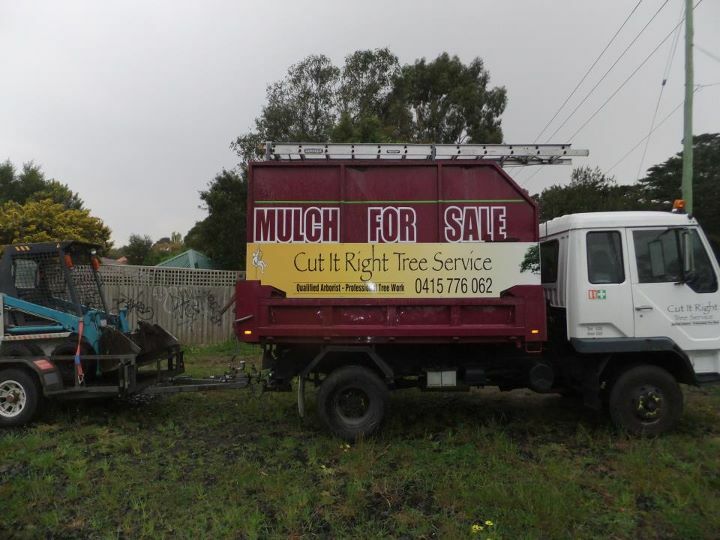 We also consider all recycling options and in most cases mulch creation is the most practical. 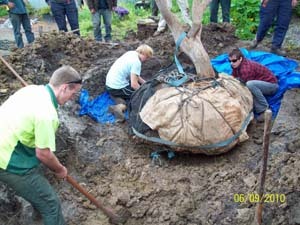 Following the removal of a tree, it is often common practice for the stump to be ground preventing regrowth and to assist in reinstating the ground, allowing for a flat surface. 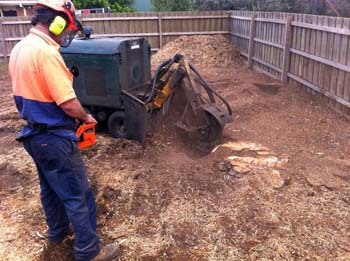 Whether in a residential yard, or in a park, garden or development property we have the ability to grind most stumps. A regular grind is done to a depth of approximately 30cm below ground level however we are able to provide a deep grind if required. 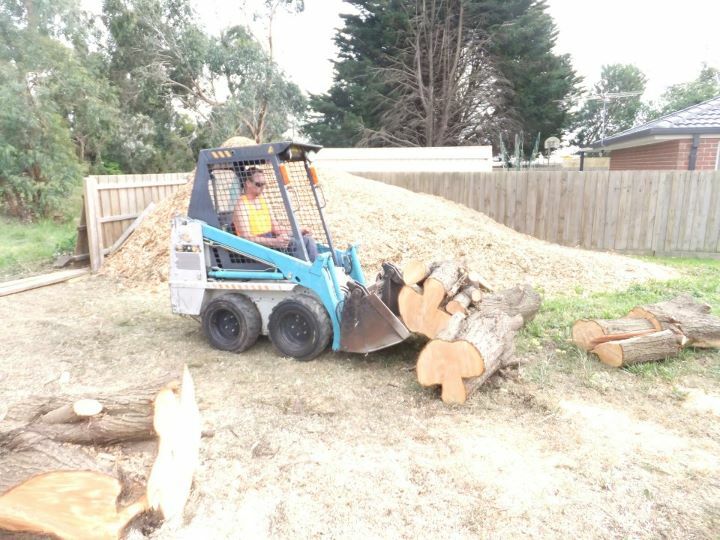 Having a small and a large grinder available allows us to access stumps in various locations (however there can be restrictions associated with grinding in difficult locations or where there are any known obstructions / obstacles preventing access to the stump ie: water mains, walls that are too close in proximity to the stump, gas lines etc). The minimum access width is 750mm. 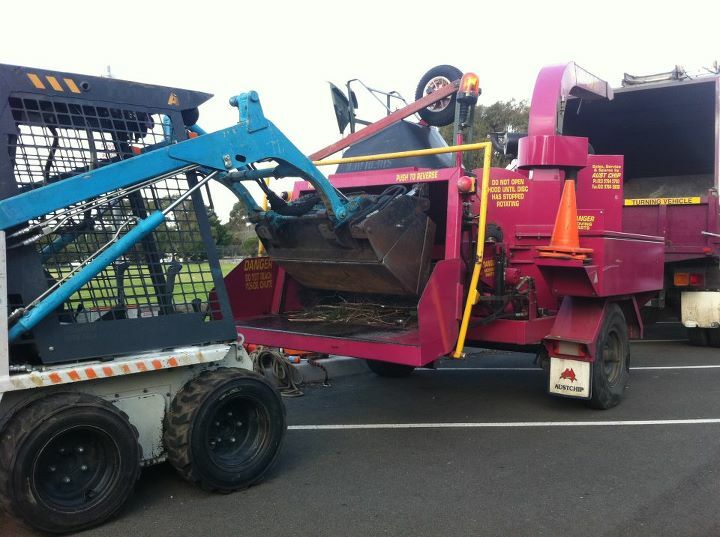 We have a dedicated 4WD mobile work station for stump grinding. 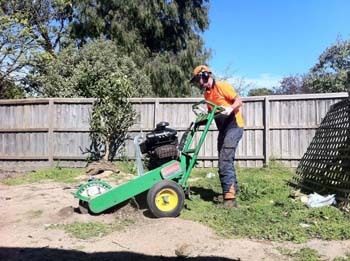 This allows us to travel to the stump location with both of our large and small grinders and enables us to perform minor servicing to the grinders on site (ie: teeth changing) to ensure the job is completed. Cut It Right has the tools to do the job! We possess a large array of EWPs, both truck mounted and self-propelled. EWPs are insulated and are inspected for Insulation compliance. 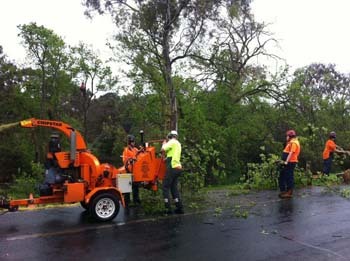 Cut It Right uses only the highest quality chainsaw, hand tools and chippers in top working order. 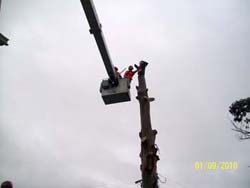 Energy providers and the Office of Energy set and enforce permanent clearance profiles for trees and services. 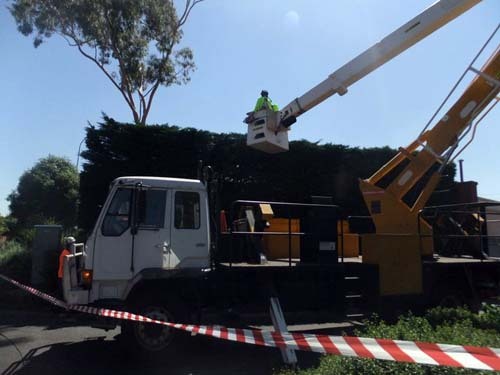 They also require the work to be completed by qualified and electrically certified operators, using insulated elevated work platforms and tools. 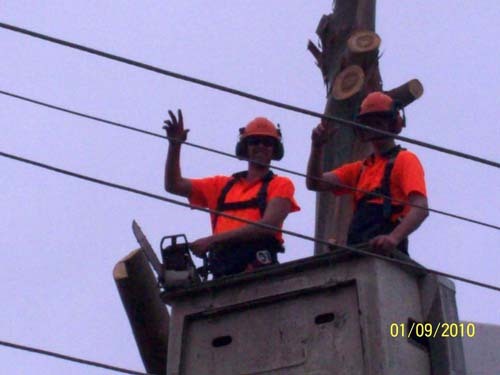 Our workers at Cut It Right Tree Service have had Powerline Safety certification, including ground crew, and our EWPs are insulated and tested. 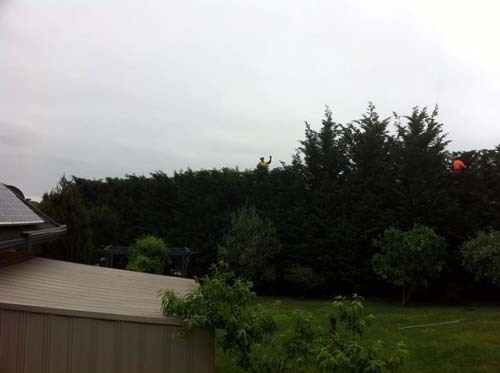 Add quality pruning to the mix and you can rest assure that a safe and compliant job, aimed at minimising regrowth will be undertaken. 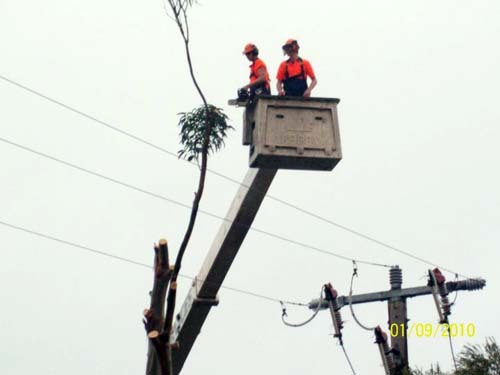 The impact of trees growing along side powerlines can be disruptive and extremely hazardous. Power regularly audits street trees and house lines, issuing compliance notices to property owners. There are specific guidelines set down by Work Safe Power for the work to be carried out on their assets, the power lines. 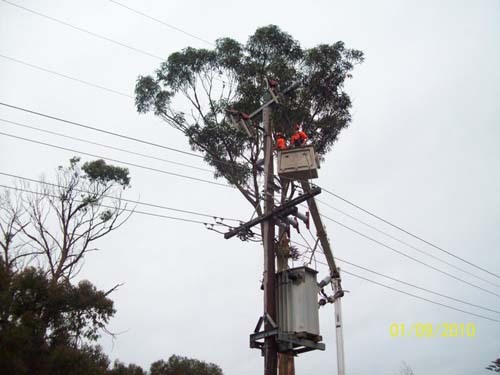 We are qualified arborist experienced in the clearance of powerlines. Synthetic cable installation technology has progressed in leaps and bounds in the last 10 years. The process allows tree owners and managers the peace of mind of having a support mechanism within the tree that not only provides emergency stability, but also acts as an early warning of possible limb failure. Used mainly for trees with small faults or for limbs with perceived excess physical loading. Cables have different load ratings which are calculated and suitable cable provided and installed. Set high in the tree, these are often unnoticed and allow naturally developed canopies to exist without concerns over failure scenarios. This is a very technical area of arboriculture, requiring attention to detail long in advance and well after the actual move. 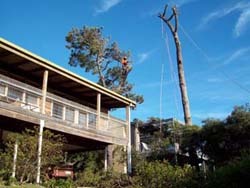 Most species and sizes of trees and palms can be successfully shifted. 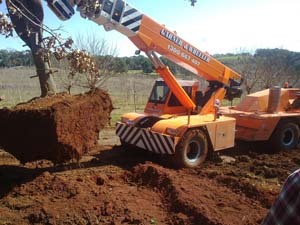 Transplant requirements escalate with maturity of the plant, as does the size of equipment involved, making this a very skilled element of arboriculture. Call us for a free appraisal and advice, and we?ll be happy to inspect, advise and get the ball rolling if a move is a definite option. 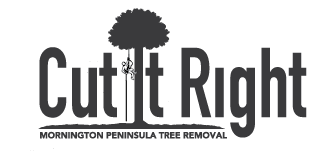 Cut It Right is happy to provide advice, cost estimates and advanced planting procedures to ensure you get the best results with all new planting. Every tree poses some risk thus living amongst them we accept some of that risk level. But how do we decide when the risk is unacceptable? 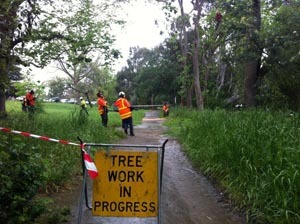 Cut IT Right Tree Sevrive contracts 3 Quantified Tree Risk Assessment system. 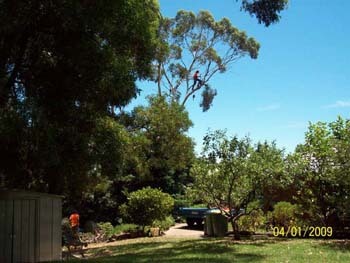 All users are qualified Arboriculturally and all findings are concurred and agreed upon with senior consultants. On site consultations include verbal information and instructions / advice as well as a written quotation and /or report for any aboricultural services suggested. Unfortunately this is the most overlooked and misunderstood area of tree care. Too often solutions revolve around extensive pruning when really this is the last thing that should happen. Serious problems range from individual to broad scale pathenogenre problems, threatening to compromise tree health and safety. Actions are prompt and solutions realistic, but the key is knowing exactly what you are dealing with. 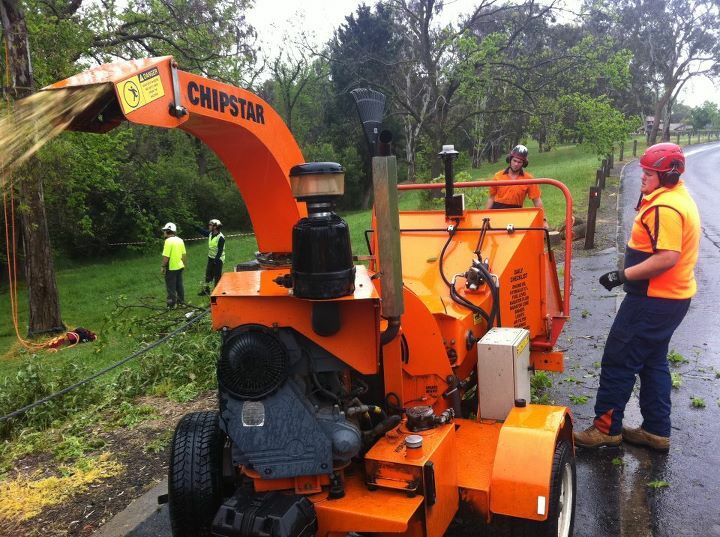 From tree and shrub removal to onsite chipping Cut It Right has the equipment, capacity and capability to clear any site.